I would like thank Wendy for the opportunity to share how I use AIM readers in my FSL classroom. AIM readers are written for specific age groups and language abilities. I am going to describe how I work with the reader that I wrote for AIM recently. I work in a Christian School in BC. In this blog, I will describe how I use my readers with my own students. These same ideas may be applied to any of the AIM readers! The reader that I wrote, Noé et le grand déluge, is targeted towards 2nd and 3rd year AIM students. Upon teaching the pronunciation of any new words, the following list is the order in which we study it. Note that this is done over the course of several classes. Before we begin, I teach the new vocabulary associated with it using both gestures and Quizlet through this set. Since I teach in a Christian school, students are already familiar with the story of Noah, but have not seen it written in French text until now. First, I will read the entire story to the class as they follow along. As the author of this reader, I am most familiar with the text and thus I read it with as much enthusiasm as possible. This exposes the proper pronunciation, enunciation and expression to the students. I trust this is an effective method for improving my student’s fluency and comprehension. I offer a few comprehension questions as I read for the first time. It is important that we also practice choral reading with the whole class. Everyone reads out loud together as a class. This way, shy and struggling students will not feel pressure to “perform” in front of everyone. Choral activities are a large part of AIM, and a reason why I love this curriculum so much. We read a few pages at à time. In groups of two, students will read it aloud with a partner. This will prepare them for the next step. Students take turns reading and peer correct pronunciation if necessary. After a few classes of exposure, they are expected to be able to read aloud in front of the entire class. I call names out and they read two to three lines each. I try to get everyone to read at least once per class, and tend to call out stronger students to read more often. If I know that a student is timid, I may have them read shorter or easier passages in the book. 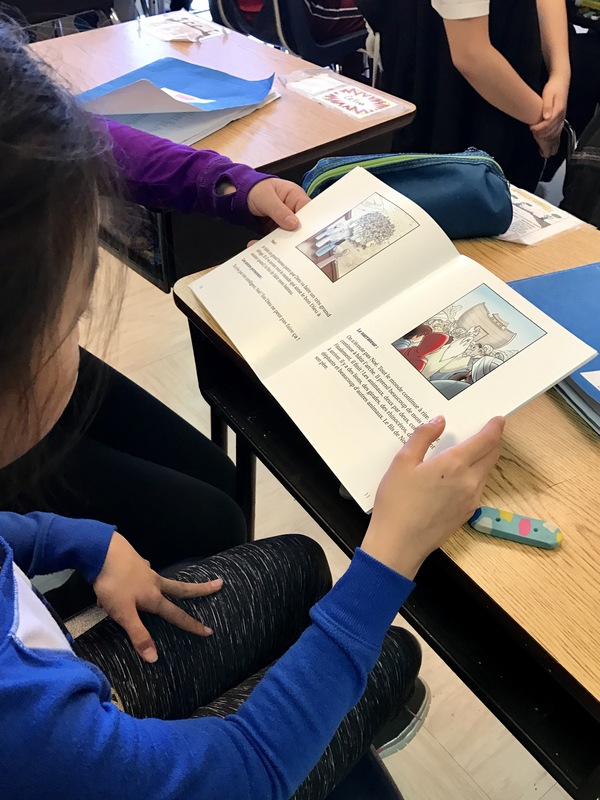 After a few weeks, students will have an opportunity to read the story to their “buddy” class, a younger group of students in the same school. This is an excellent chance for them to showcase their abilities, while at the same time not feel too much pressure to be “perfect”. 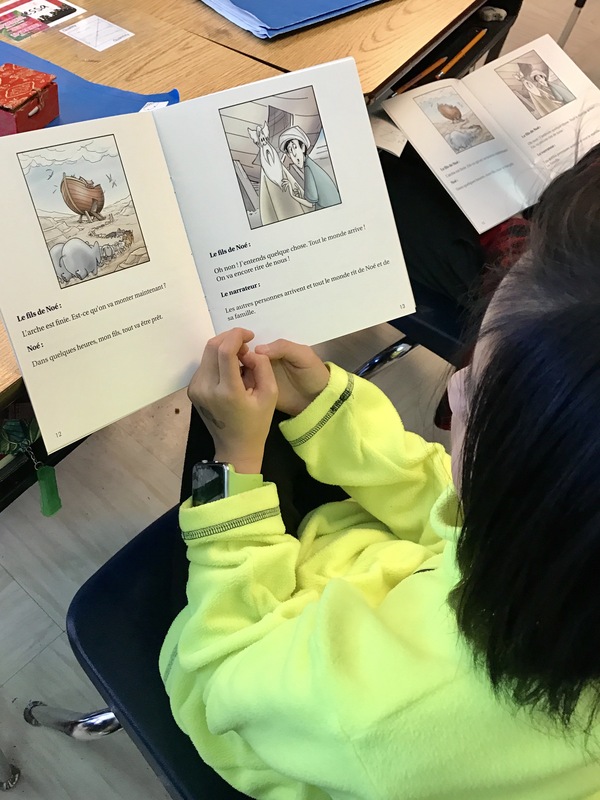 For a number of their readers, AIM has created written activities very similar to those AIM students are already familiar with: Choisis le bon mot/Mets les mots en ordre/Les Questions Totales/Les Questions Partielles and others including cultural activities. I am excited about using AIMs Digital Readers in the near future. As a huge supporter of technology education, I look forward to having the ability to have my students read multiple readers at their own pace. My school in the process of acquiring the student portal for next year, and because of that, students will have access to the digital readers at home and can work on them at their convenience. In class, I plan to have students use iPads to read in groups. This can also be an activity for “fast finishers”: students are excited to use technology, and will be happy to have a chance to read new digital readers at their language level. 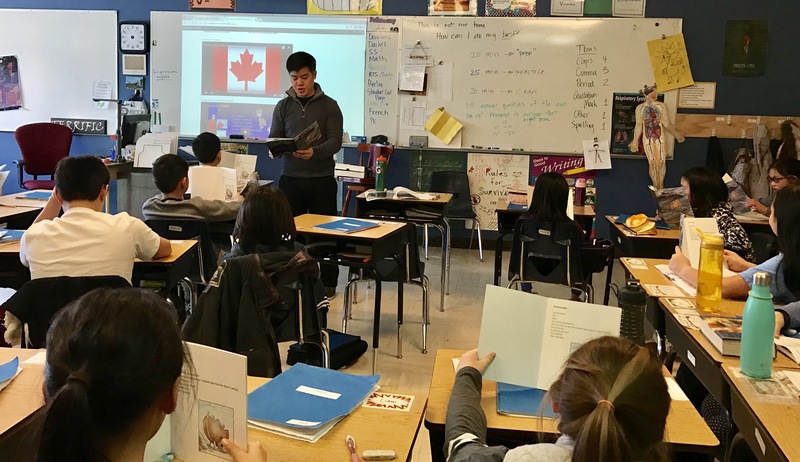 Steve teaches in an independent school in Richmond, British Columbia, and has been teaching with AIM for the past twelve years. He has taught French from grades 1 through 10. Currently, he is teaching grades 1 through 5.